All the makings for a fondue party, including a full fondue menu: for cheese fondue, meat & seafood fondue, chocolate fondue, and all the dips, sauces and dipper ideas! 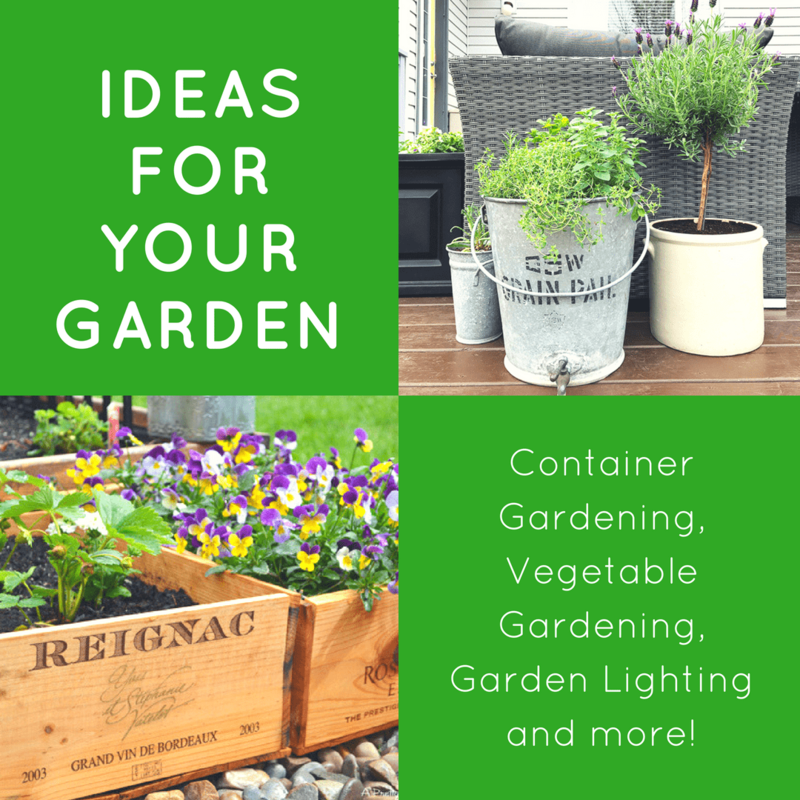 Plus tools required, timelines and tips & tricks! One stop fondue fun! Fondue anyone? What do you think of when you hear the word fondue? The first thought that enters my mind chocolate. Mmmm chocolate. Chocolate smothered strawberries and bananas…can’t you just taste them?! Don’t forget the cheese. 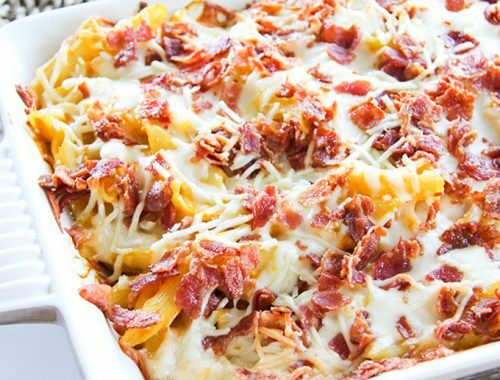 The hot, gooey, delicious & rich melted cheese smothered bread chunks. Drool. 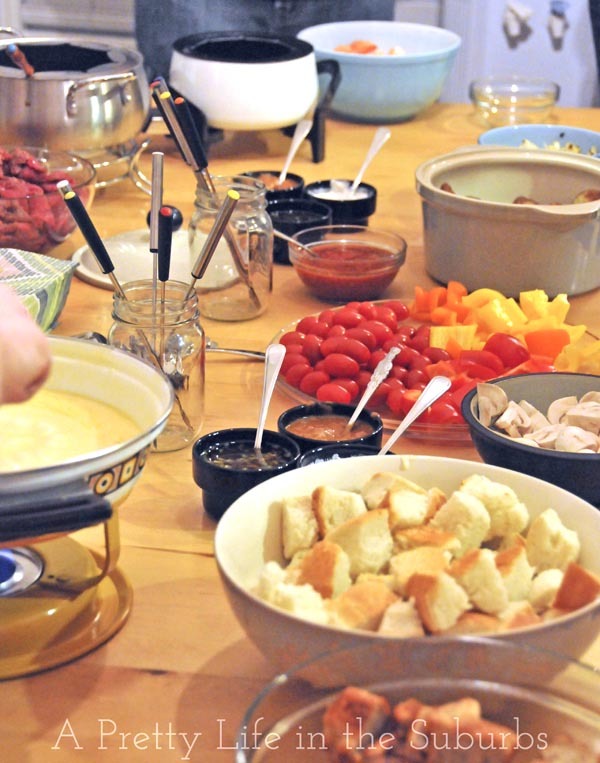 A couple of weeks ago the hubby & I hosted a fondue party and it was fuuuuuun! I wish I could show you a ‘Martha Stewart’ fondue party, complete with all the perfect invitations, menus, printables, and decorations but I don’t have em! 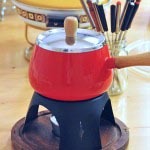 But you will get to see some fondue pots that are the real deal…I’m talking 1970’s real deal. Like fondue pots that made their rounds at the first fondues of our time. Now how’s that? Bet Martha doesn’t have these! And you will get a tonne of fabulous fondue recipes! I’m hoping that you will find this a one-stop-shop-fondue-party! Now it’s time to partaaaaaaay! Meat & Seafood Fondue: 1 pot for the oil – use an electric, stainless steel or cast iron pot for oil fondues. 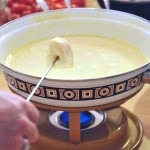 Make sure that the pot that you use for an oil fondue has a splash guard around the rim of the pot to prevent splashing. 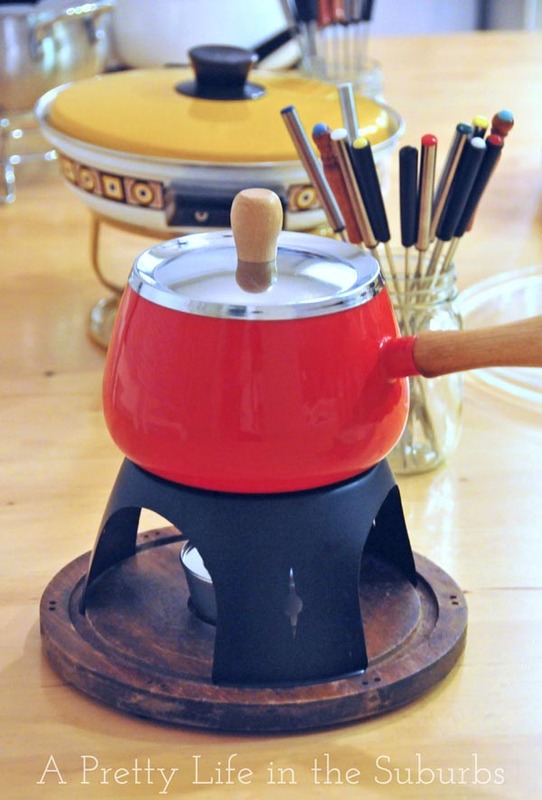 Cheese Fondue: Use a ceramic fondue pot over a flame. We use gel fuel pots – you can find these at WalMart or any major grocery store. Chocolate Fondue: Use a ceramic fondue pot over a tea light. Fuel: tea lights, gel fuel pots and vegetable oil. fondue forks – make sure you have at least 2 per person. Make your dips first. 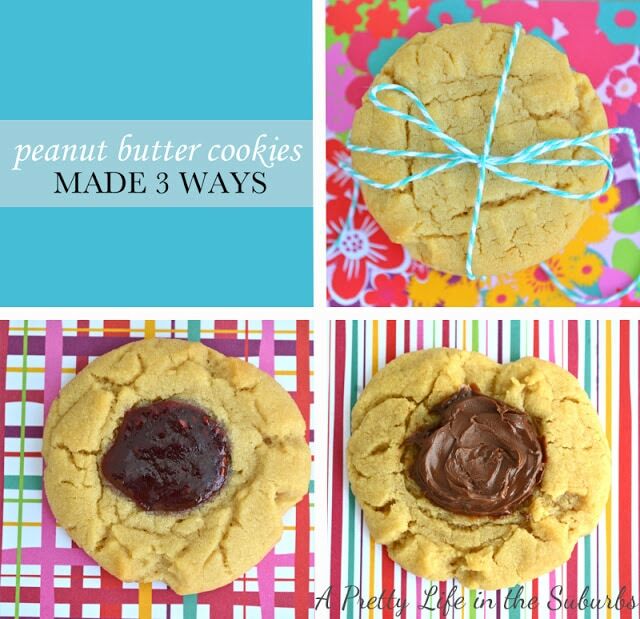 These are best made early in the day so the flavours in them can meld together. Prep all your veggies. Wash & cut them up in to bite sized pieces. Again, this is best to do early in the day so you are all ready to go at fondue time! Slice your meat. Do this early and put it in your fridge until dinner time. De-thaw any seafood you are serving. About an hour or so before your fondue party, you can roast any veggies that you plan on serving. They don’t have to be hot right out of the oven at fondue time. Most people like to warm them up in the cheese fondue or even the oil. 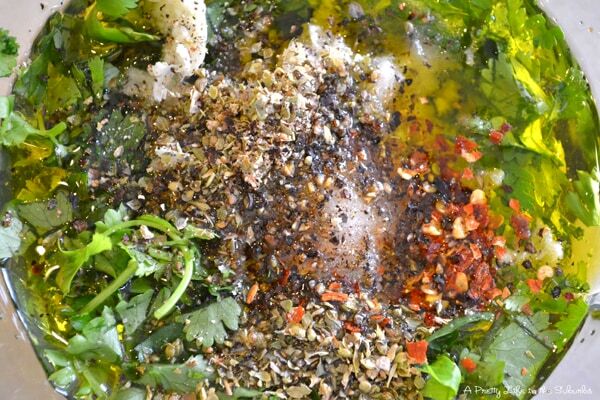 In a small saucepan, cook the onion, garlic, and red pepper flakes in oil until soft, about 4 minutes. Whisk in the remaining ingredients, and simmer while stirring, about 1 minute. Stir sour cream, horseradish, and mustard in a small bowl. Combine all the ingredients together, and let sit for at least 2 hours. Fill your fondue pots 1/2 – 2/3 full with vegetable oil. Turn on the heat, and when the temperature reaches around 350 – 365 degrees it’s ready to cook in. 1 lb Gruyere and/or Emmentaler cheese. Shredded should make about 9 cups total. Before you get your fondue pot hot, rub the inside of it thoroughly with the cut garlic halves, then thrown them out. When the wine starts to bubble, add the cheese by the handful, stirring until melted and combined. In a small bowl, whisk together the cornstarch with lemon juice until the cornstarch dissolves, then stir the mixture into the cheese mixture. Continue whisking the cheese mixture until it is smooth and bubbling slightly. On your stove, place a heatproof bowl over a pan of barely simmering water. Add the chocolate and cream. Using a wooden spoon, stir until the chocolate is melted and the mixture is creamy and smooth. Once it’s smooth, transfer the chocolate mix to a fondue pot, and set over a warming candle like a tea light. See notes. OMG!! 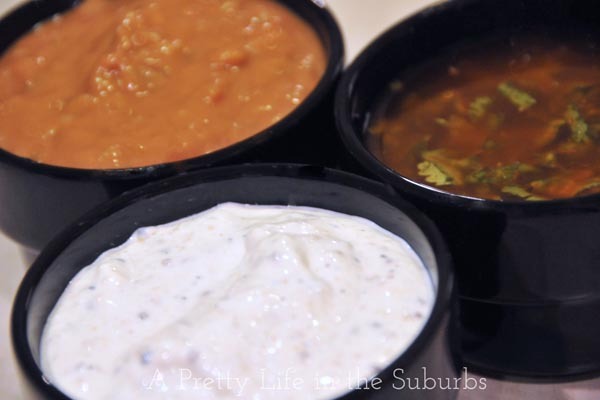 I love those pots – deja vuvu!! this looks so good! I almost hosted a fondue party last weekend but it got turned into a superbowl party instead. still that chocolate is calling my name! Fun and appetizing. Looks so good! If you receive a fondue set as a gift be sure to invite the gifter to enjoy with you as they will delight in seeing you use their gift. Oh geez, when I hear the word fondue, I’m transported back to the seventies and fonduing with my family! I still have the ol’ pot; you’ve inspired me to dust it off! Needless to say we weren’t very good skaters – hence my limited abilities out on Lake Bonavista now. I can go forwards, but don’t ask me to look at any of the fancy houses because I have to keep my eyes on the ice – those cracks are lethal for one of my skill level!! Great idea! I’m going to be on the lookout for fondue pots while I’m out thrifting! Have a blessed week! 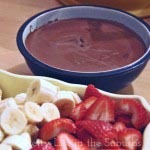 Have you ever tried the Tobelerone chocolate fondue recipe Jo-Anna? It’s deadly! What kind of wine’s complimented your fondue? I found your site after I googled “fondue dinner”. We fondue more often than the average Minnesotan and I was looking for some new ideas. 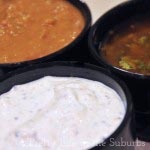 Love your recipe for the Horseradish & Dijon Mustard Dip and the Peanut Sauce. Both were a hit. Even with my husband who is the fussiest eater alive. He thought the peanut sauce was “really nice”. That is the ultimate compliment! That is fantastic! I’m so happy you enjoyed your fondue! 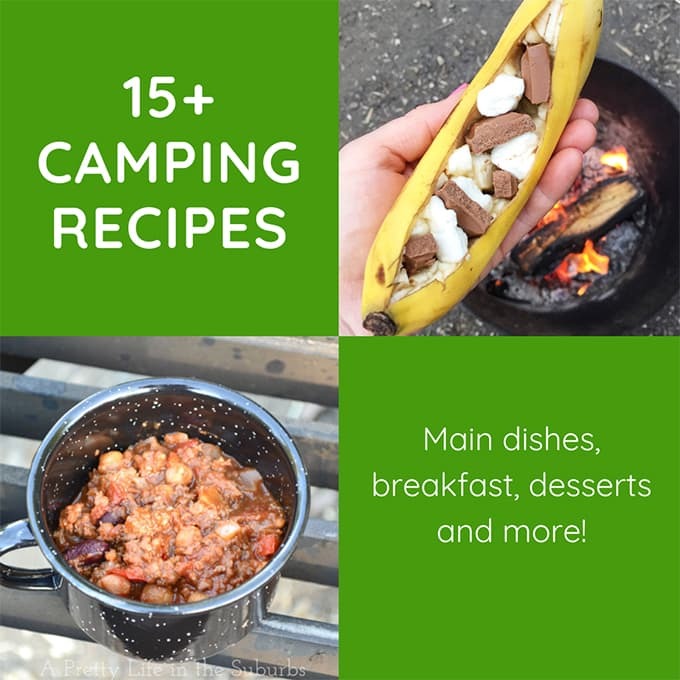 How many did these recipes serve? Thanks! 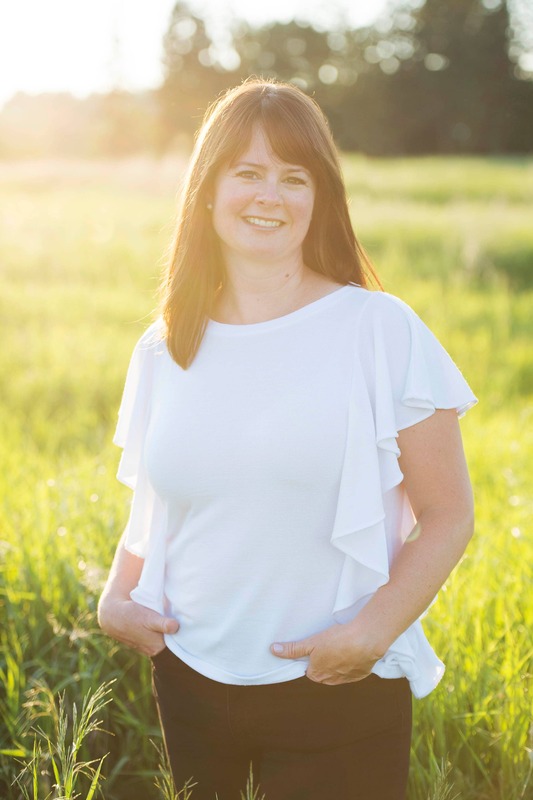 What a relief to find your blog! I am hosting a fondue party in three days, and it was on my “to do list” to complete the menu today. You did all the work for me!!!! 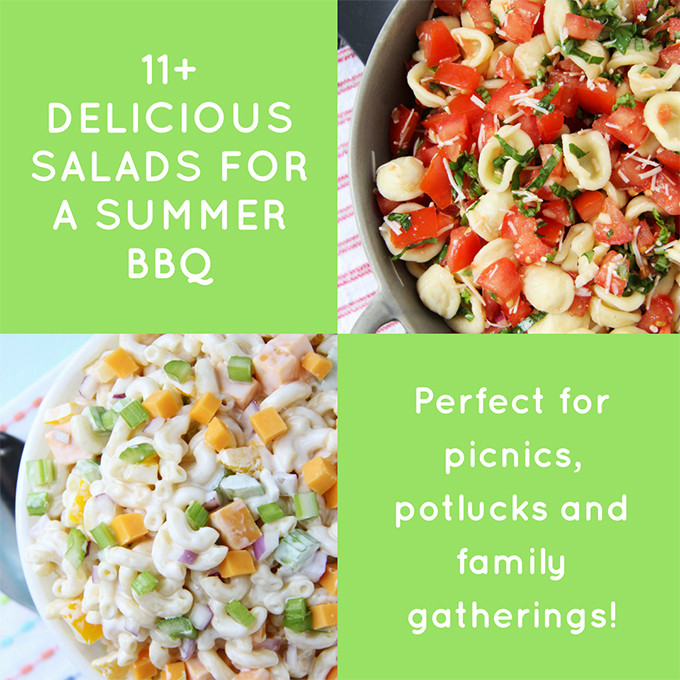 Love the printable recipes, and the pictures. I am giddy with excitement over finding this! Thanks! This makes me SO happy! 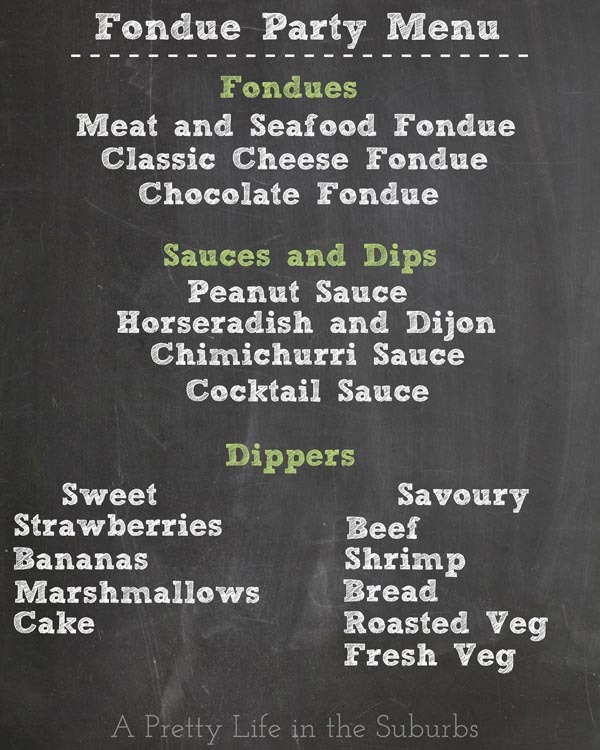 Fondues are so fun…I hope you have a delicious time! I have 12 coming for a fondue dinner. How much beef, chicken, & shrimp do I buy per person? Do we cook the raw meat (chicken & beef) in the same broth or oil?